Natuzzi Editions Michelle pushes innovation and style to the maximum. In a world where comfort alone is not enough for the style conscious, Natuzzi Editions have risen to the challenge and created the masterpiece that is the Sylvia. Natuzzi sensor controls for the recliner are located below the seat edge at the side sense heat from the users fingertips and control the whisper quiet gliding electric motion. 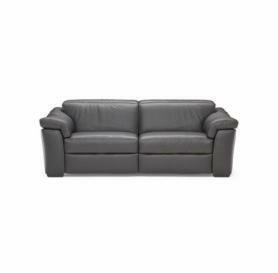 Sylvia is available as a sectional corner group or sofas. As a Natuzzi Editions authorised stockist and gallery a visit to our huge furniture Megastore is recommended to select your perfect sofa. Click the PDF icon on the right to download the datasheet for the Natuzzi Editions Michelle. Michelle Sofas IN STOCK and ready to deliver! Sofas from the Michelle range can ordered and tailored to your specific requirements. Available in a range of sizes, leathers and fabrics.